One of the perks of being a teacher is having long breaks away from work throughout the year. Spring break is one of those times, so David and I decided to squeeze in a midweek trip . Since we live pretty close to one another, we decided to meet up at his house and ride together. We made the traditional stop at Bucee’s to get a little breakfast before making it down to the coast. We ended up launching around 7:15 am and began the day throwing topwaters against the grasslines and over large patches of grass without much luck. We could see bait moving around, but none of it seemed to be fleeing for its life. 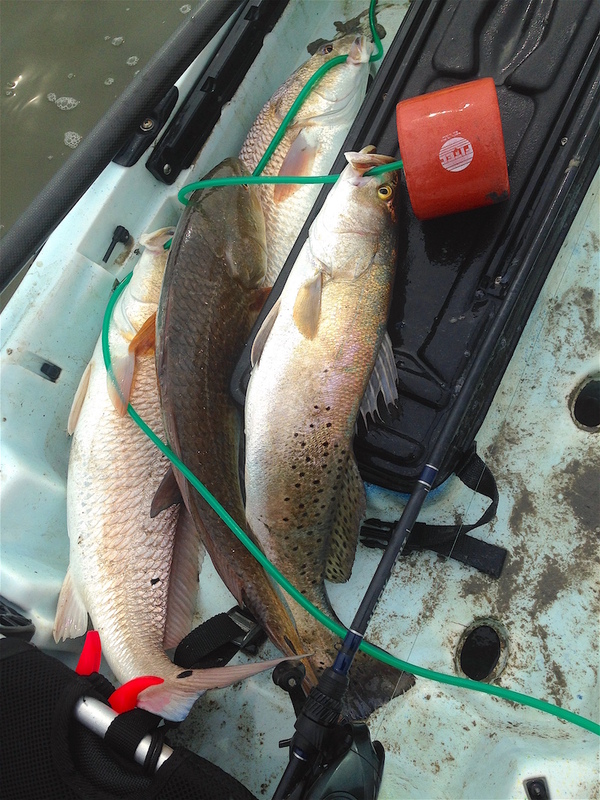 Once we made it to the shallow stuff, we were blowing out redfish every 10 yards or so, but not one of them were interested in our lures. Even though we weren’t getting any bites, there were fish in the area, so we decided to grind it out in hopes that we would eventually convince a few to eat or that they would all turn on and begin feeding. 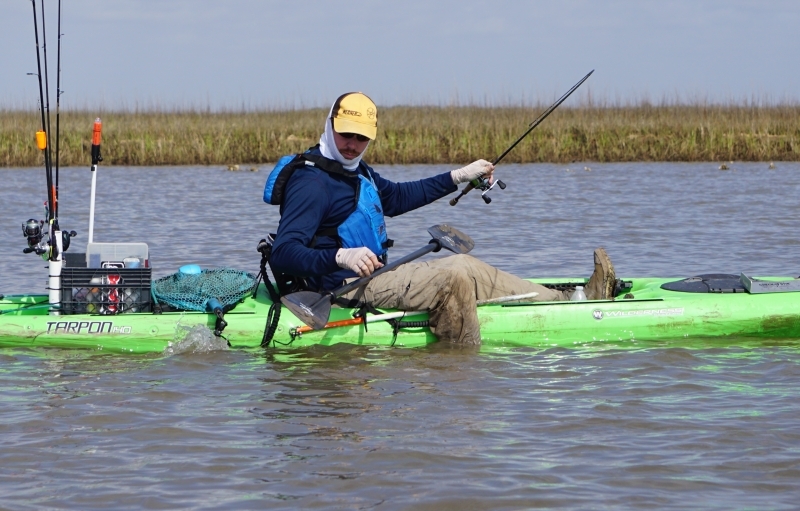 After two hours of throwing tops, plastics, spoons, buggs, and everything else on the kayak, David finally sight casted a redfish that was crawling along the grass lines with a Bugg. 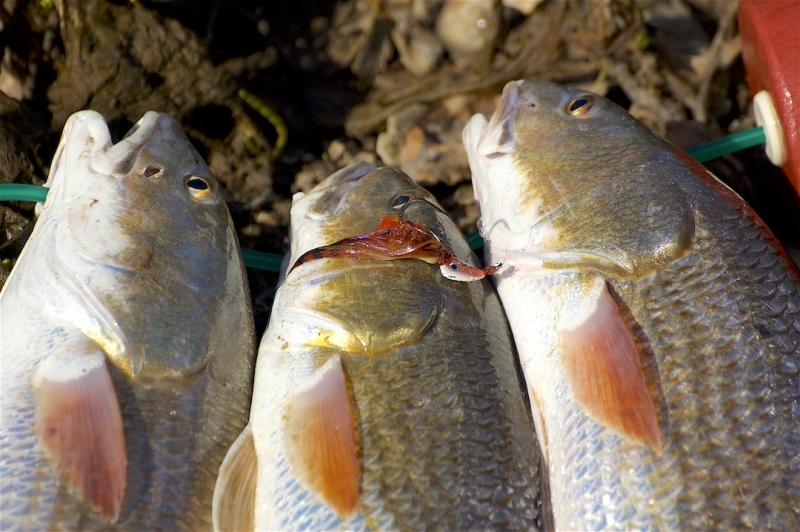 About 5 minutes later, I spotted one on the shoreline doing the same thing and made a cast at the fish. My Bugg landed on the edge of the grass, but came out and landed near the fish. He turned on my bugg, made me think that he ate it, but succeeded in fooling me. 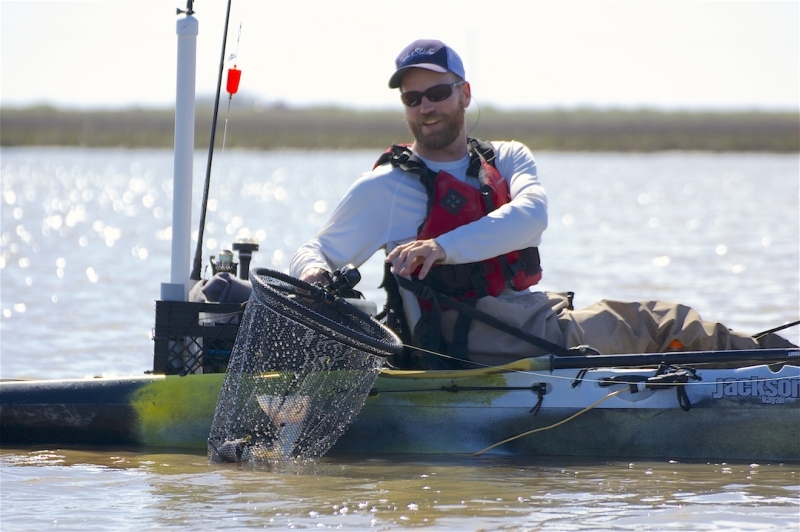 While David and I were discussing our plan of attack, I picked up a 22″ marsh trout after seeing a small tern that was pretty interested in a certain section of the water. After a few pics, we continued working the shorelines and that turned out to be the trick. The fish that were 10+ yards off the shorelines were not interested in our lures at all, but the ones cruising along the grass were hungry enough for us to get a handful of bites. We decided to split up in order to maximize the amount of the grass lines we could work and meet back up later. I sent David a text an hour later to let him know that I had caught my limit of reds. He said he was 1 fish short of a limit and had lost a couple that would have completed it. I worked my way back towards him and picked up a few more fish along with way by continuing to focus on the grass lines. When I finally caught back up with David, he had strung his 3rd red and had caught a few extra as well. We explored the area a bit more and finally decided to call it a day. We were still spooking fish that were laid up, but they just weren’t interested enough in eating for us to continue grinding it out. I caught my trout on a 1/4 oz. Curl Tail Bugg in Electric Chicken and the reds came off of a 1/4 oz. Curl Tail in Blue Crab (My all time favorite color). David caught a few of his on buggs and a few on paddle tails. The March 2015 edition of the Fisherman’s Journal was released today along with my “Five More Lures Redfish Can’t Resist” article. You read it and other articles by clicking the magazine cover above or you can read it below. 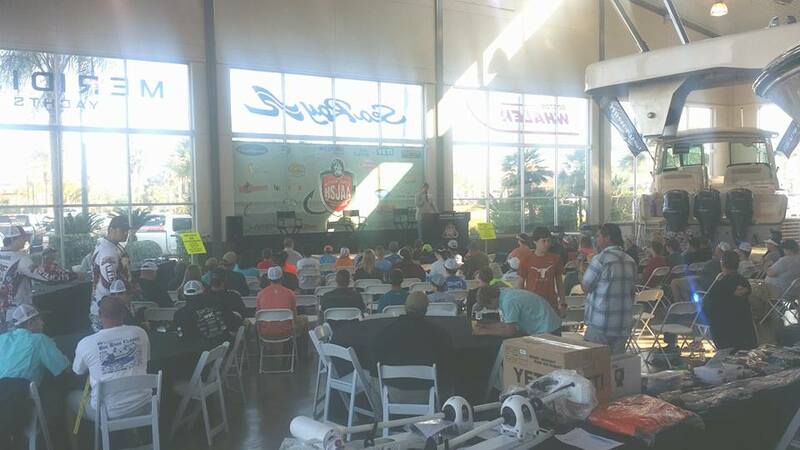 Last year I wrote an article titled “Five Must Have Lures for Spring Time Reds” where I discussed my five favorite redfish lures. While writing the article was easy, limiting myself to choosing no more than five proved to be difficult. Several lures that I carry with me on each trip were left out, even though they are used quiet often. 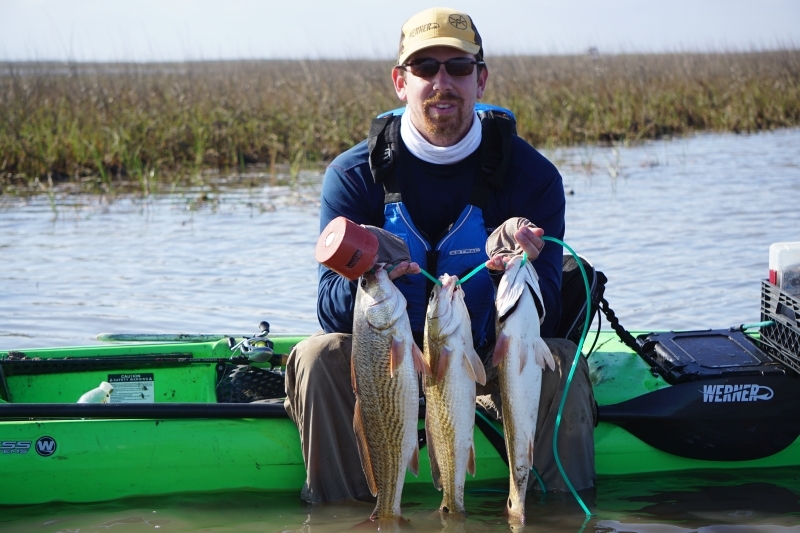 To make sure the majority of the lures I use are covered, I have decided to release Redfish lures version 2.0. 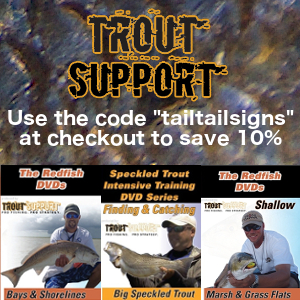 Listed below are five more lures that redfish can’t seem to resist. The Strike Pro Hunchback has quickly become one of my “go to” top water baits around shallow patches of shell. Similar in many ways to the Manns-1 minus from my previous article, the Hunchback only dives a half inch below the surface of the water creating a small wake while being retrieved. It contains a loud rattle that will help fish locate it, and gives off great vibration as it wobbles back and forth. This is a great lure for small children and beginners to use that are unable to “walk the dog” properly with a She Dog or Skitterwalk because a slow, and steady retrieve is all that is required to work it properly. Because this lure only dives a ½” below the surface, you don’t have to worry about constantly hanging up on clumps of oyster or grass. The Hunchback comes in a variety of colors and is available in three different lengths, giving you a little variety when choosing your size. Ask any old salt their “go to” lure to catch a redfish and you’re sure to hear the words “Gold Spoon” come out of their mouth. Dating back to as early as the 1840s, fishing spoons have been around for a long time and very little has changed about them over all these years. A gold spoon is one of those “if it ain’t broke, don’t fix it” type baits that has been catching fish long before any of us were born, and is still catching them today. Although certain companies have made minor adjustments over time, most spoons will have an oval shape that is concave on one side, causing it to catch water as it is retrieved. As the spoon catches water, it “wobbles” back and forth and catches light from the sun producing tiny flashes in the water. Gold spoons are available in just about any size you can think of, and can be fished in a variety of ways to entice a strike. I normally stick with a simple Johnson Original Sprite in the 2 ¼” size. If you’re making the transition from freshwater to saltwater, then a redfish spinner bait might be the perfect lure to start with. Bass fishermen started using them in the early 1900s with great success before saltwater guys modified them slightly to catch redfish. 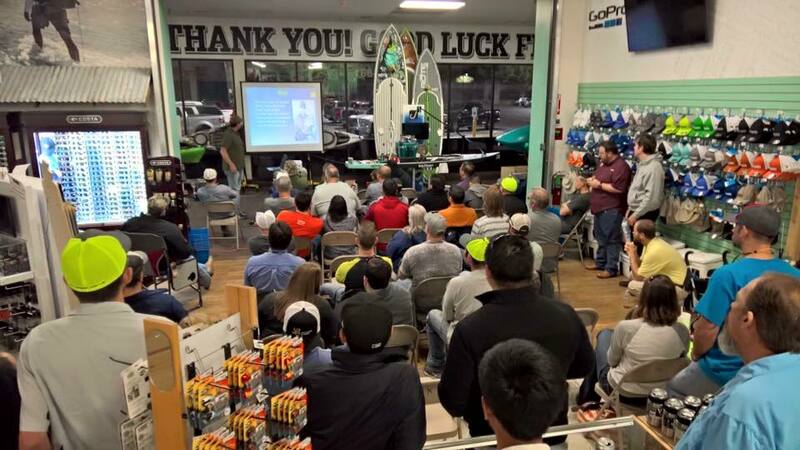 The main difference between the two baits is that most freshwater spinner baits come with a skirt, while redfish spinner baits will have a paddle or curl tail soft plastic. 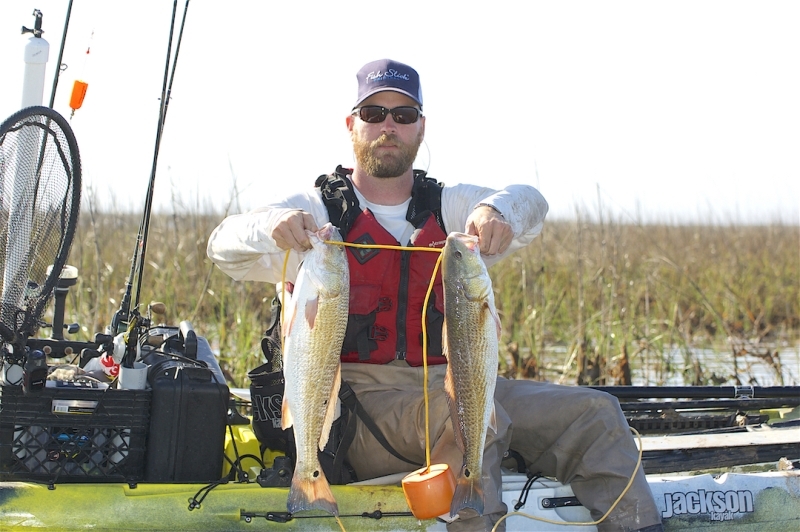 Redfish spinner baits are a favorite of mine because the vibration and flash you get from the blade(s) takes a plain old soft plastic to a whole new level. Depending on your speed, you can fish the lure low and slow or near the surface with a faster retrieve. You can also replace the soft plastic with your favorite Gulp to add a little scent to the vibration and flash, making the redfish spinner bait a deadly lure. The Bomber Saltwater Grade Redfish Flasher is my favorite spinner bait. 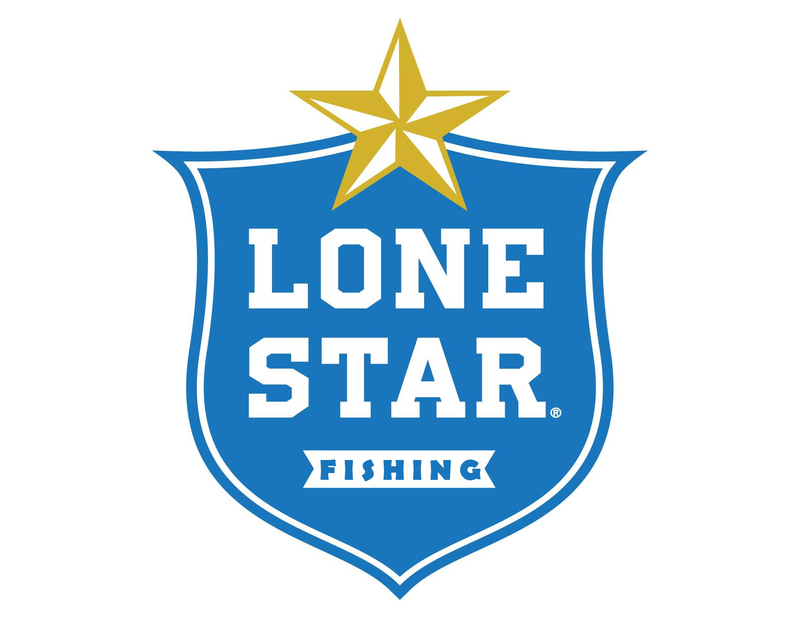 They use a strong, saltwater grade wire that is double wrapped at all contact points to make sure you don’t lost a fish due to lure malfunction. They come in a ½ oz. and ¼ oz. size giving you the option to go deep or stay shallow. 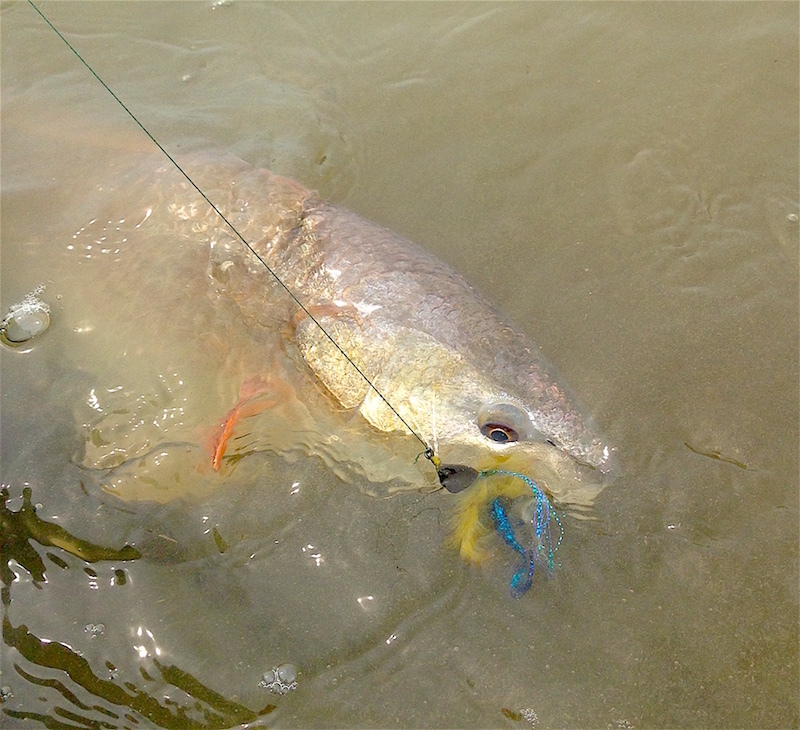 The Super Spook Jr. is another classic inshore saltwater bait for both redfish and trout. 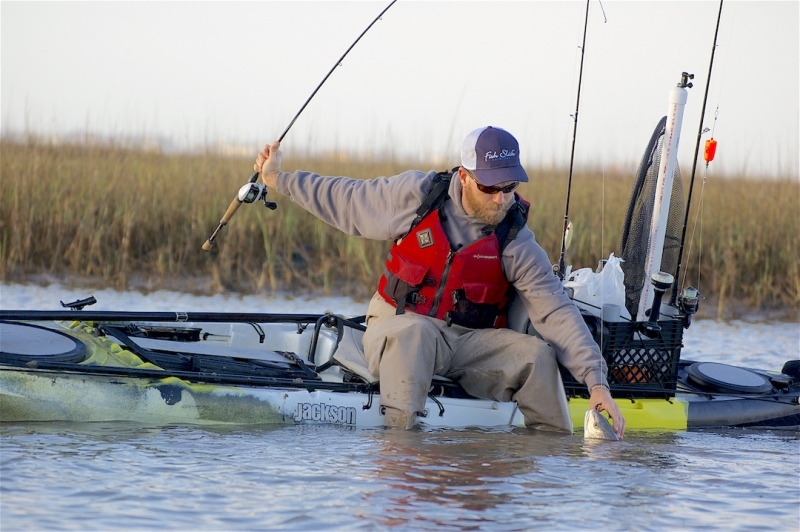 Many anglers will tell you that it is their favorite topwater to throw whether they are fishing the surf for trout or stalking reds on the flats. While I like throwing She Dogs and She Pups on most days, I’ll change to a Super Spook Jr. when fishing really calm, shallow water. The main reason is because the shallower the water gets the spookier the fish get, especially if the wind decides to lay low. The SSJR is smaller in size and creates less noise than most of the other topwaters out there, making it less likely to spook a fish, and more likely to draw them in for a strike. As far as my redfish tackle goes, these five lures, plus the previous five mentioned cover just about everything I carry. I’m sure I carry less than some, and more than others, but these ten lures give me the option to tackle any situation I might run into on the water.